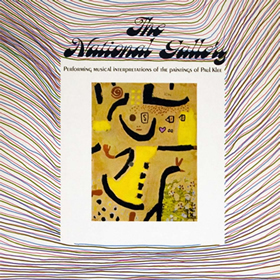 This superbly melodic and strange distillation of pop, folk, psych and jazz was inspired by the paintings of Paul Klee, and first appeared in 1968. Despite being credited to a proper band, it was in fact a studio recording overseen by the Cleveland-based team of jazz composer Chuck Mangione and local producer-arranger Roger Karshner, who called the songs ‘electronic paintings’. The album is presented here for the first time on CD, complete with liner notes and two rare bonus tracks from a pre-LP 45 credited to Bhagavad-Gita.